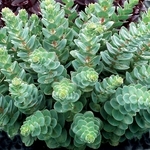 Sedum telephium 'Rosetta' is a force of nature with blue-green leaves that open like icy-blue roses on the new growth in the spring. 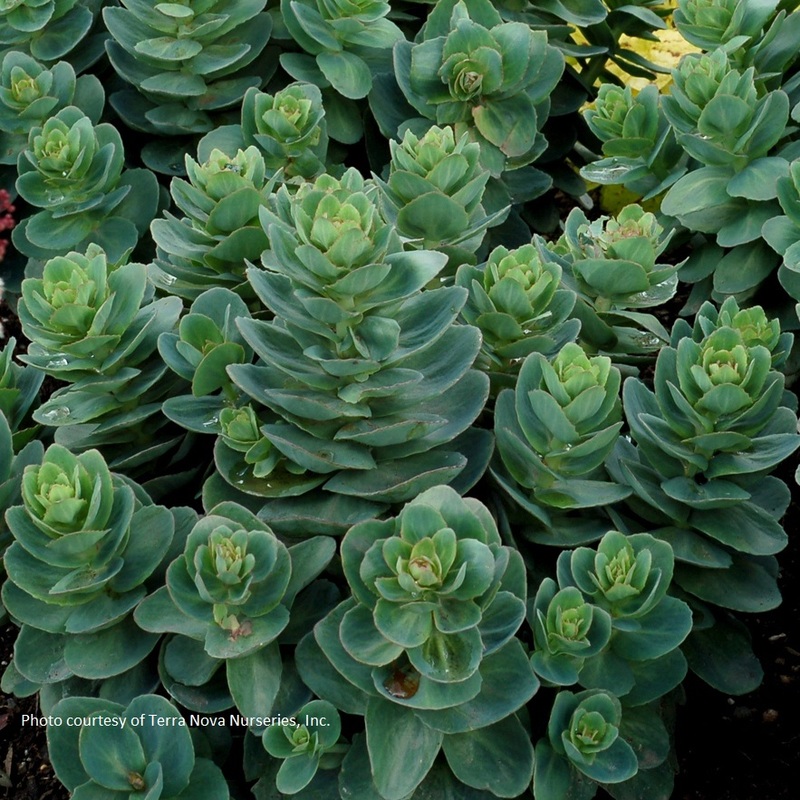 These blue-green leaves stay very attractive on their upright arching stems all summer. In late summer, white flowers form in clusters on the ends of each branch. PP#26190.